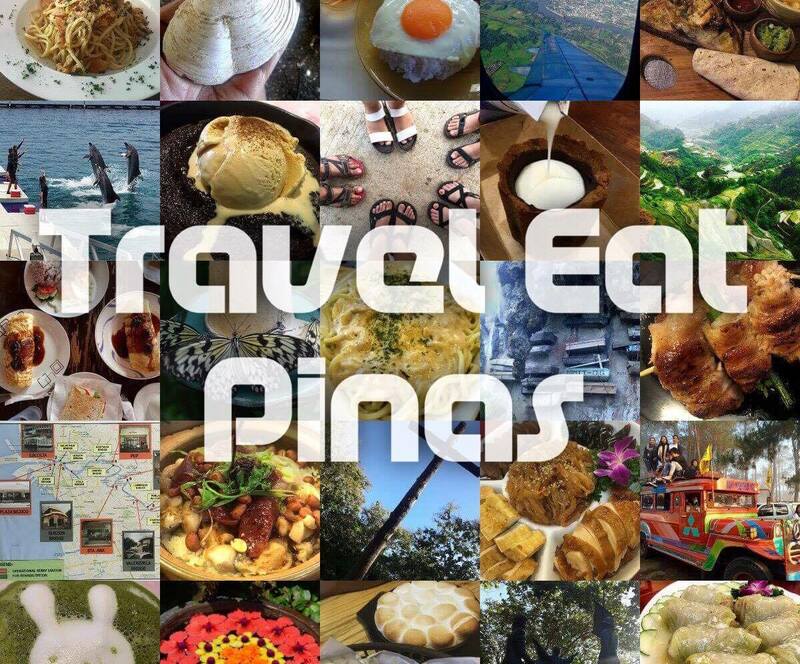 Last January, Zomato Philippines invited Travel Eat Pinas to dine at The Wholesome Table located at Estancia Mall, Capitol Commons, Pasig City. The Wholesome Table is the reflection of its founder Bianca Araneta- Elizalde. Every detail of the restaurant, including the menu, is her idea. 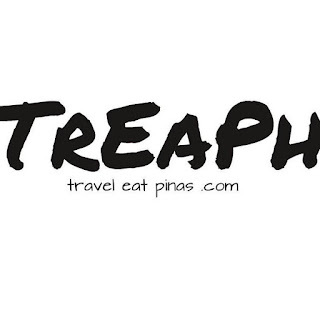 Bianca together with her husband Juan Elizalde founded the restaurant to let Filipinos savor pizza, pasta, rice meal and snacks without having a guilt. Each dishes serve in The Wholesome Table are made from fresh and healthy ingredients. The Wholesome Table has a comfortable and earthy ambiance. 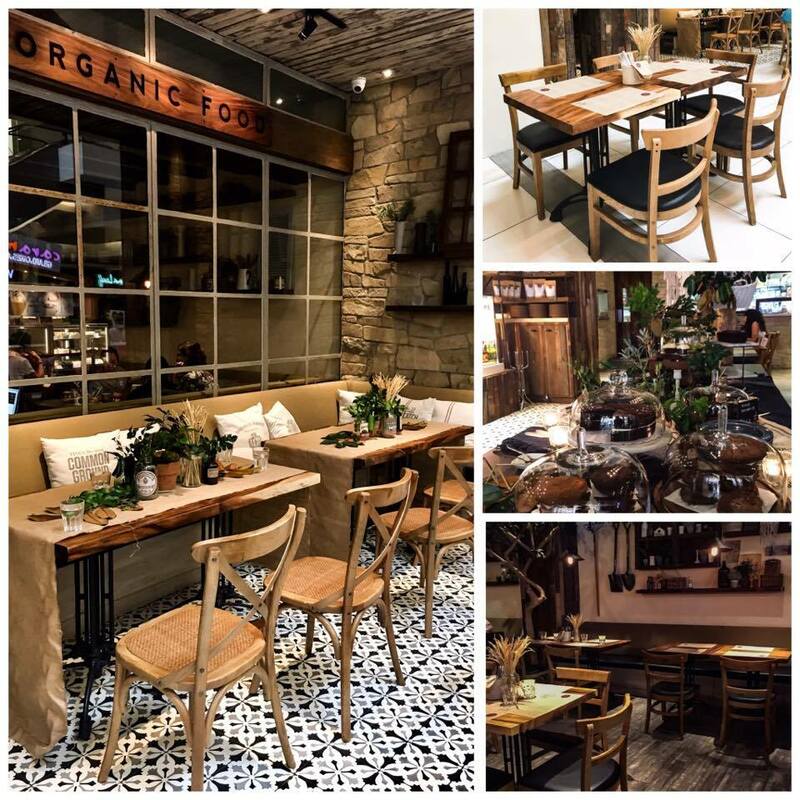 The wooden chairs and tables complement with the plants and other ornaments that are strategically placed in the restaurant. We started our banquet with a salad that is close to our heart, the Cordillera Salad. 80% of the ingredients in the salad came from Cordillera. It has one of a kind candied chayote that tastes like apples, fresh Sagada oranges, crunchy Benguet poll beans, carrots, lettuce, onion, feta, boiled duck egg and peanut brittle. The salad is drizzled with a citrus vinaigrette that compliments well with the other ingredients. After the Cordillera Salad, we tried The Wholesome Table's Avocado Toast. 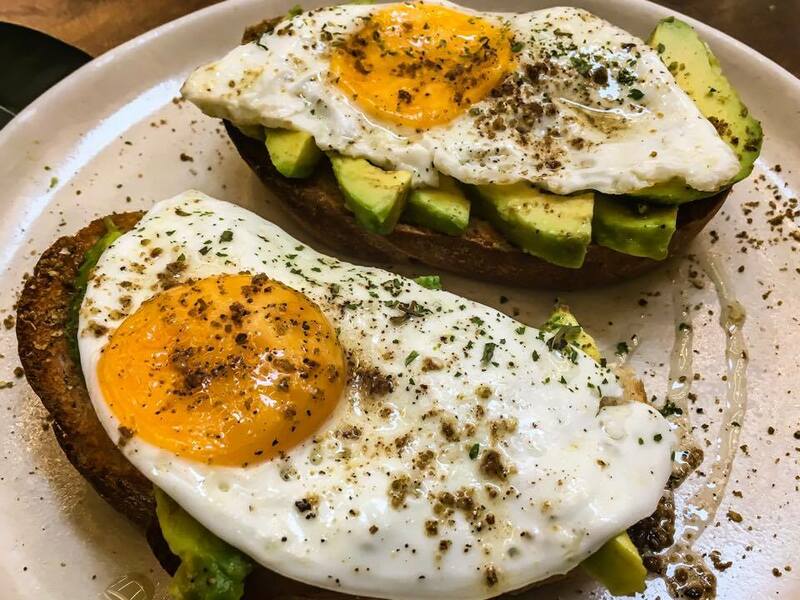 The Avocado Toast is composed of toasted sourdough topped with avocado, dijon mustard, free-range egg and dukkah spice. Surprisingly, the avocado and egg compliment each other perfectly. Avocado Toast is perfect for breakfast. 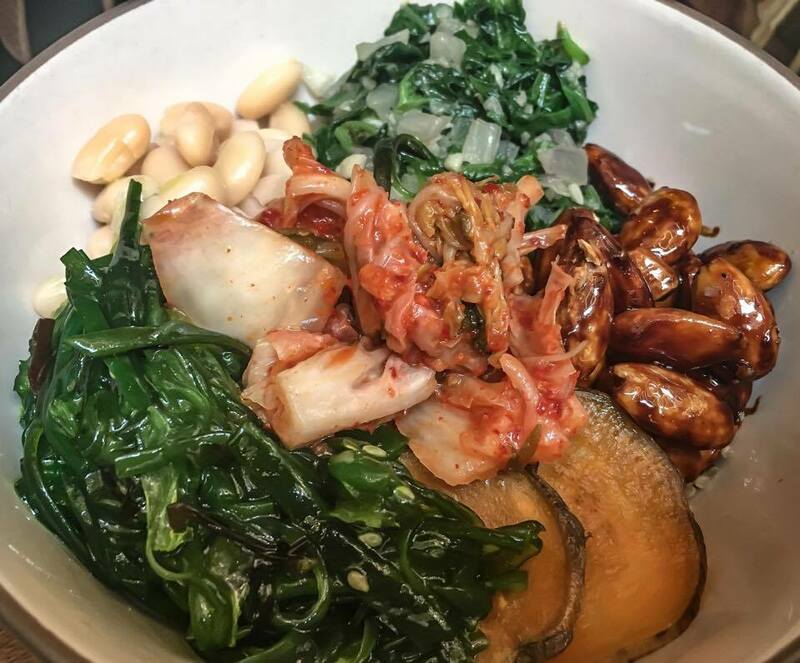 After the Avocado Toast, we tried the nutritious meal in a bowl called Power Bowls. We tried the Poke Bowl first. Instead of using tuna as an ingredient, The Wholesome Table uses salmon to avoid the high mercury content of tuna. 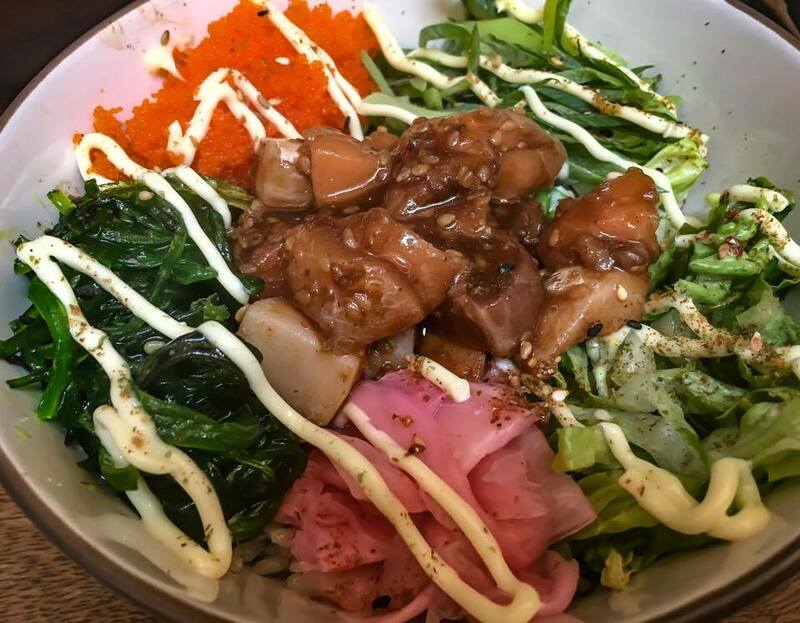 The poke bowl is composed of brown rice topped with fresh salmon and juicy salmon, sea vegetables called wakame, onion leeks, crunchy romaine lettuce, ebiko, furikake, togarashi spice, pickled ginger and drizzled with Japanese Mayonaise. Aside from the Poke Bowl, we also savor the Macro Bowl. The Macro Bowl has complete meal composed of carbohydrate, protein, and fats. The Bowl is composed of quinoa, wakame, white beans, sweet potato, kale, spinach, teriyaki almonds and garlic yogurt dressing. A trip at The Wholesome Table is not complete without tasting their Mushroom Paella. 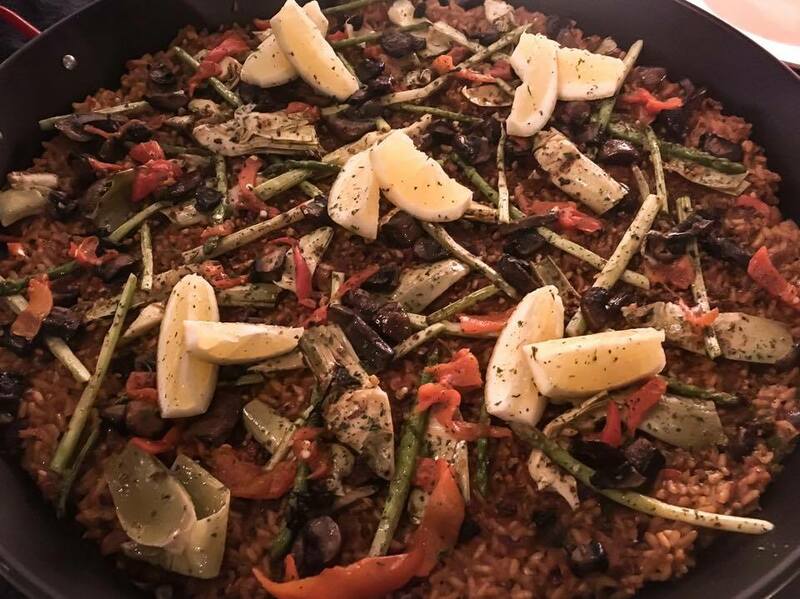 The paella has a distinct taste coming from saffron caulirice, button mushrooms, asparagus, artichoke, red onion, garlic, roasted pepper and chorizo made of walnut. 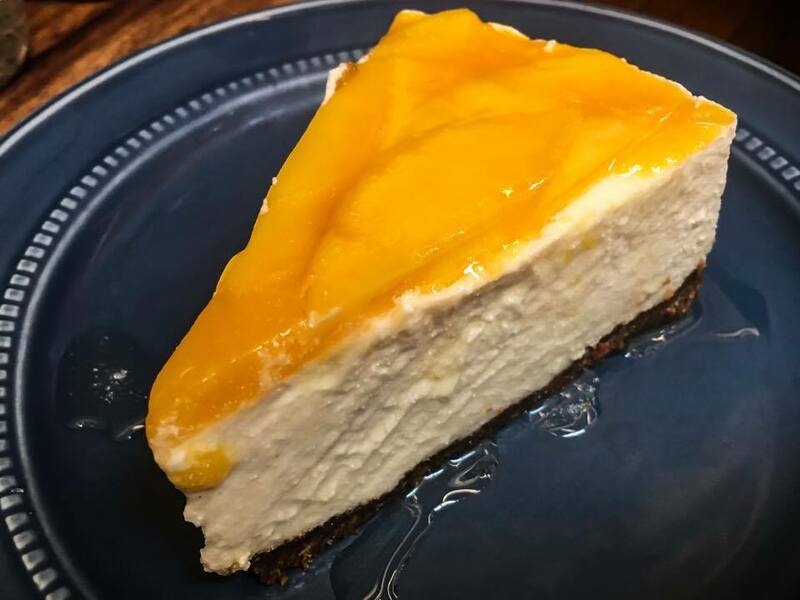 A meal at The Wholesome Table is not complete without tasting their healthy Mango Cheesecake. As a cheesecake lover, we enjoyed every single bite of the Mango Cheesecake. The cheesecake has gluten-free graham, sweet mangoes, honey, vanilla, cream cheese, and butter. 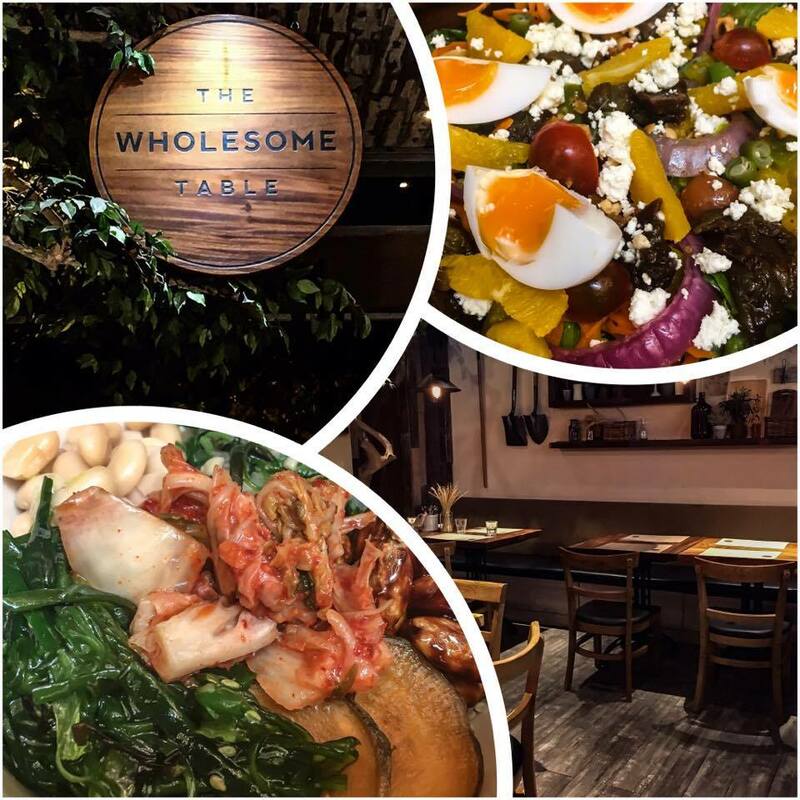 The Wholesome Table did give us a healthy treat with their delectable dishes during our visit. The dishes have generous servings but a bit pricey because of the healthy and fresh ingredients incorporated in it. The restaurant has an earthy and refreshing vibe that is perfect if you want to dine, relax or have some intimate moment with your loved one. Oh wow this looks like a fantastic place, what a great review, the photos are fantastic! The food looks so yummy. I think I will have avocado toast for lunch. All of the food looks amazing. That avocado toast is right up my alley! Mmm, all this food looks so amazing. I like that it's healthy too. I would LOVE that avocado toast. This looks like a great place to dine. The food looks delicious and like nothing I've ever tried, so it would be great to experience some new flavors. Wow all dishes seems to be very delicious and yummy. Pics are great. Mango Cheesecake is my favorite. Oh! That was such a tempting dishes. The paella looks good and the cheesecake of course. Looks like really good food options. I think I would go with the Mushroom Paella. I love mushrooms. It's my first time hearing this restaurant. It sounds amazing! I love that the food is fresh and packed with healthy ingredients! It's a must try for me. Looks like a wonderful place to dine in. I love the look of everything, especially the macro bowl! Oh my goodness!! I can't visit your blog when I haven't had lunch. This place looks simply delicious! Oh my goodness! Those foods are really tempting and tasty for sure! 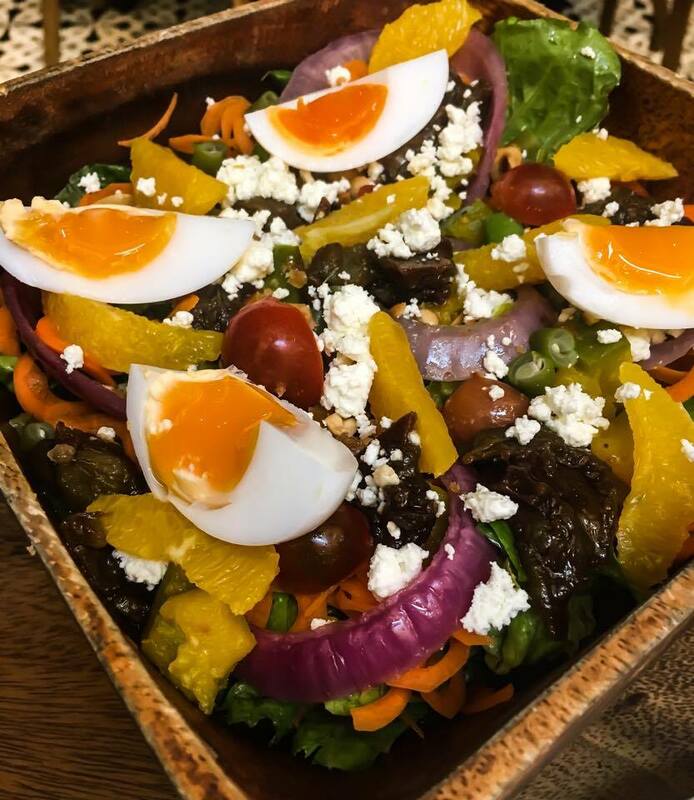 I love to add feta to so many of my dishes, and was happy to see you added it here. Totally adds a change of flavor and I love it. Those foods are really tempting! I'll find this place soon when we get there in PH. I am sure everything is delicious, and the prices look reasonable enough. However, it is the cheesecake that caught my fancy. The first spoonful would take me to gastronomic nirvana. Looks like a really nice place to eat at! I love that cheesecake, its making me hungry!